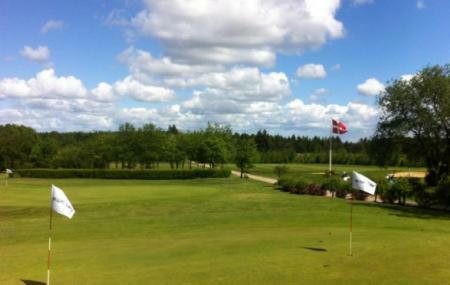 While in Billund, do head over to the Gyttegard Golf Club for a round of golf. It is situated in mid-Jutland region and is surrounded by the protected GreneSande area. 18 varied golf holes form a part of the course and give you a fantastic experience of the sport. The golf club also has a store that sells top end golf accessories and a restaurant that serves delectable meals. Unless you are a member of the club, advance booking is compulsory. How popular is Gyttegard Golf Klub? People normally club together Karensminde Agricultural Museum and Bryghuset while planning their visit to Gyttegard Golf Klub. Excellent vegetarian food if you order in advance. Even if you are not into golf, there are some lovely walks around the countryside near the club building, and the woods are very well kept. The facilities for meetings are very good, though when I was there the wifi was a little bit patchy. I expect this was an anomaly though. Var til mægtig kaffe og kagebord. Med masser af dejlig velsmagende brød og kager i nyrenoverede lokaler. Restauranten har lige fået installeret ny personelevator, så gangbesværede kan komme op i lokalerne på 1' sal. Vi kan anbefale Gyttegård golfcafe til alle både fest og spisning hver dag. Hyggeligt sted og meget fair priser. Dejlig mad, god og venlig personale, hyggeligt sted.